The scarf *Esmeralda* contains a graphical pattern – perfect for knitters who prefer clear structures. 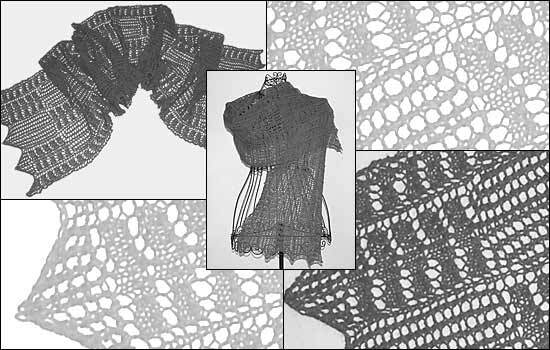 The scarf can be worked in individual length and width, even as a stole. The pattern contains detailed information on the variations.